Are Fintech Firms Becoming More Like Banks? The success of the fintech industry is usually based on how disruptive (and how good) these companies’ services are, compared to conventional financial market options like a bank. So why are some fintechs looking to become more like a bank? Some are even trying to get a formal banking charter. 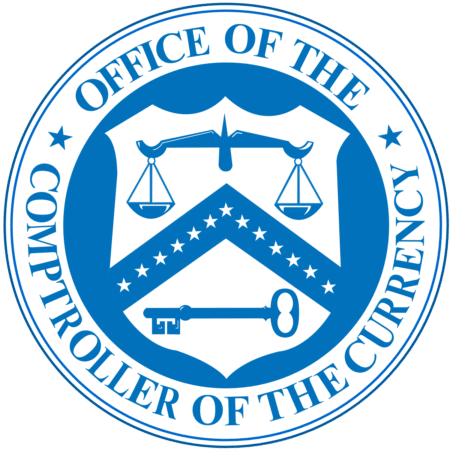 The Office of the Comptroller of the Currency (OCC) is the agency that issues bank charters in the US. In December 2016, the OCC wrote a white paper that called for a Special Purpose National Bank Charter for Fintech companies. Many public comments, including from the director of the Marketplace Lending Association, are adding to the conversation. The comments provide much additional insight on how different players in the market feel about the idea of a national charter for fintech companies. Fintech firms have, at best, an uncertain regulatory environment. Any and all of the agencies listed above could impact a fintech firm. A marketplace lender like Lending Club has to deal with securities laws on the investing/funding side of its business, while also dealing with consumer lending and CFPB regulation on the borrower side, including state-by-state licensing as a lender. The state-by-state issue is a primary sticking point as to why so few business lending platforms and virtually no mortgage or auto lending platforms in marketplace lending exist today. Despite the fact that more regulation isn’t typically better, in some cases, the fintech firms see the value of having more regulation in return for having a very clear path of what rules and regs need to be followed. One regulatory area that this charter streamlines for fintech firms is around the need to get licensed in each state where they do business. A national set of rules, as opposed to state-by-state rules, would provide a huge benefit by providing clarity and creating a more streamlined process for the fintech firms to follow. Better regulatory understanding is not the only reason why a fintech might get a charter. One of the largest and best-known marketplace lenders, SoFi, a student loan refinancing platform, applied for a bank charter in June. They chose the Utah Industrial Bank charter, which is common with some credit card companies and equipment finance companies. The Utah Industrial Bank charter allows companies like SoFi to accept FDIC-insured deposits that would bring their costs of capital down dramatically, along with the regulatory clarity they seek. One of the more interesting potential uses of the specialty fintech charter comes from Varo Money. Varo is a startup in the mobile banking space who applied for the OCC charter in July, as reported on TechCrunch. Varo is a mobile-only banking product to set up checking accounts, bill pay or other everyday banking and cash management features in a mobile-only environment. This charter and policy change for fintech firms is controversial and has plenty of critics. Thomas Curry, who was running the OCC in 2016, was very much in favor of fintech firms going in this direction. The current Acting OCC Keith Noreika is on board as well from one of his recent speeches. The most intense opposition comes from state bank regulators and most notably the NYDFS. State regulators think the OCC has overstepped its authority and they filed suit in late April. American Banker has some excellent coverage on this situation, explaining how it came about and why, which is mainly based on the idea that state regulators are more likely to enact and enforce consumer protections. Nothing has happened with the suit yet, and not much has happened with the two fintech charter bank applications either. We are all waiting to see if the charters get approved, how the suit moves forward, and if this leads to a new direction for fintech firms in the US.